moving more slowly the smaller the wire and the heavier the blocks, so that, by varying these two factors, any desired speed may be obtained. The wave form which is propagated in any of the various possible cases is, in general, very complicated. 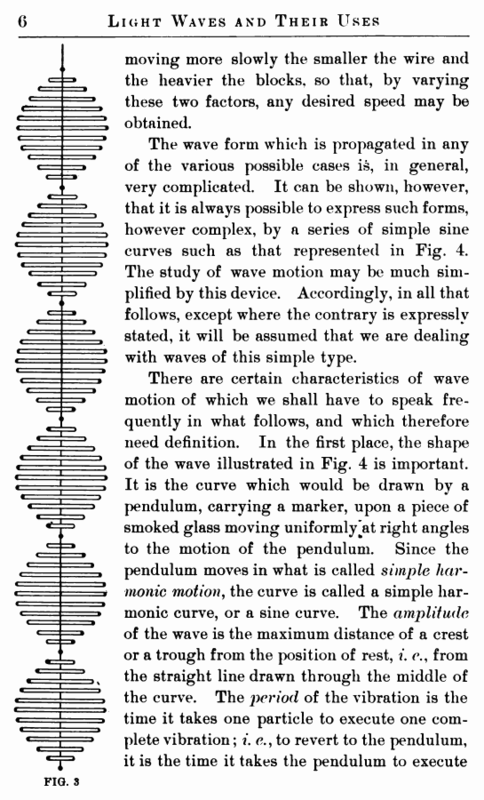 It can be shown, however, that it is always possible to express such forms, however complex, by a series of simple sine curves such as that represented in Fig. 4. 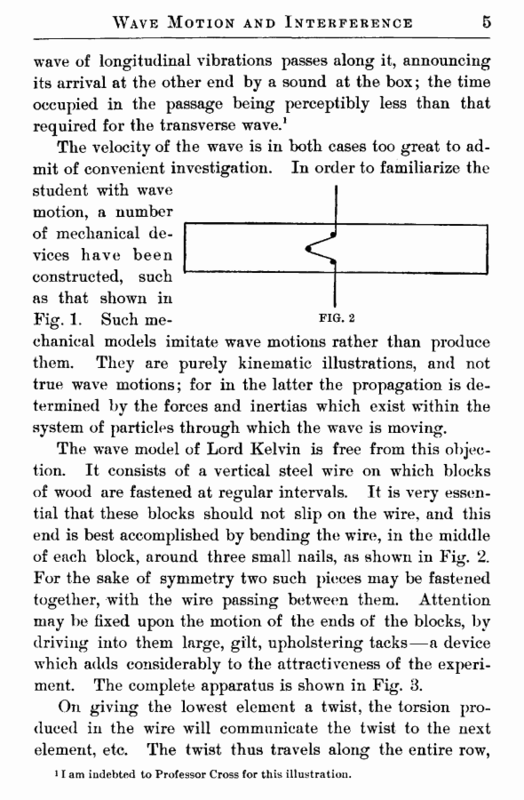 The study of wave motion may be much simplified by this device. Accordingly, in all that follows, except where the contrary is expressly stated, it will be assumed that we are dealing with waves of this simple type.